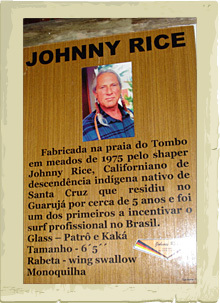 This is a 6'5" Winger Swallow Tail. 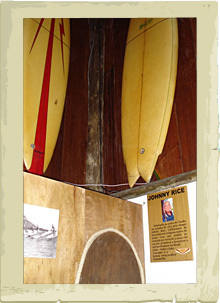 It is a single fin shaped in the 70's. Patro and Kaka were the glassers. 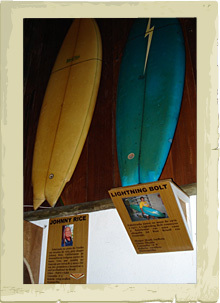 Here in the museum Johnny and his winger swallow tail is being recognized along side other great shapers and progressive surfboard designs of that era.